Tracy's - Play Here! Win Here! Tracy’s is a relaxing neighborhood cafe for adults to enjoy light meals & gaming in a comfortable environment. Offering exceptional customer service & generous amenities, Tracy’s is a premier entertainment destination. 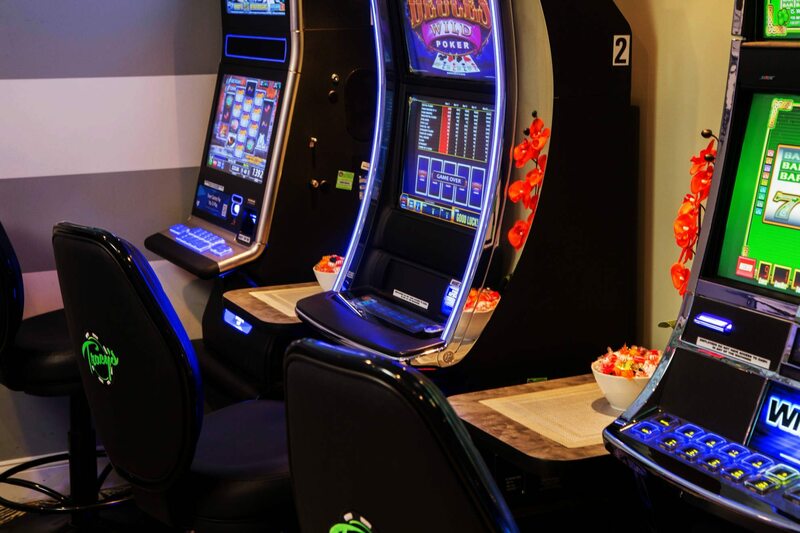 Play at our 5 gaming terminals featuring more than 50 varieties of games (at each location) from WMS, Bally, IGT, and Spielo. Cash out instantly via our payout device. 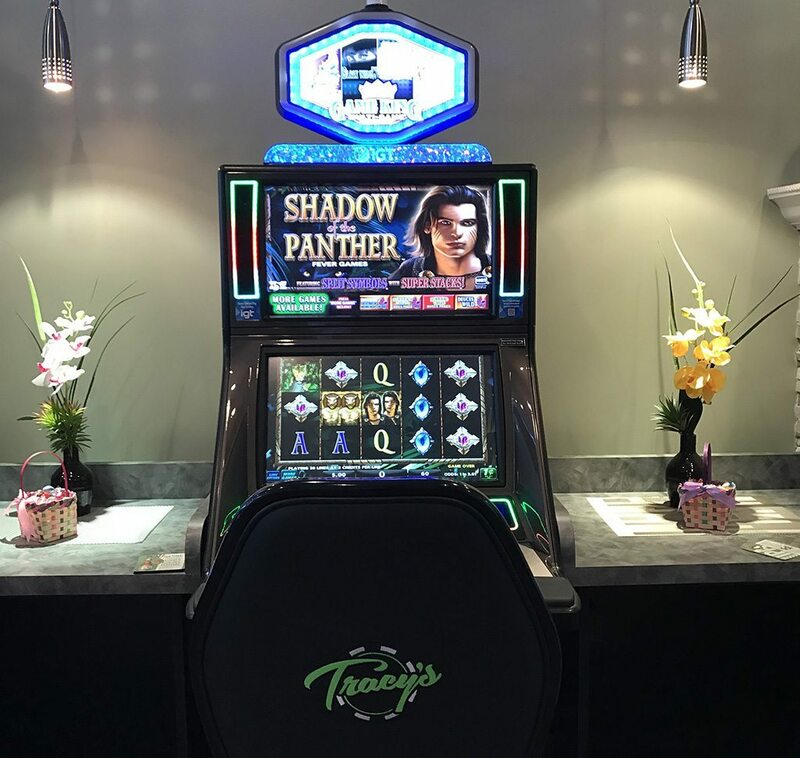 Get the VIP experience at Tracy’s! customer service make Tracy’s a unique gaming experience. "I have been in the South Elgin store recently and I can say I was very impressed. Customer service was on point. The host (she has long blond hair) was very friendly and helpful. She offered me a drink right as I walked in the door and she didn’t hover as I gamed. Next time I am in town I will come back." "Tracy's generously offered to host out chamber Ambassadors meeting. The owner briefly addressed our group and then offered us the facility to use as long as we needed. Very clean, friendly atmosphere. I will definitely come back to visit in a non business guest and enjoy the food and beverages." "They have the best slots in South Elgin. 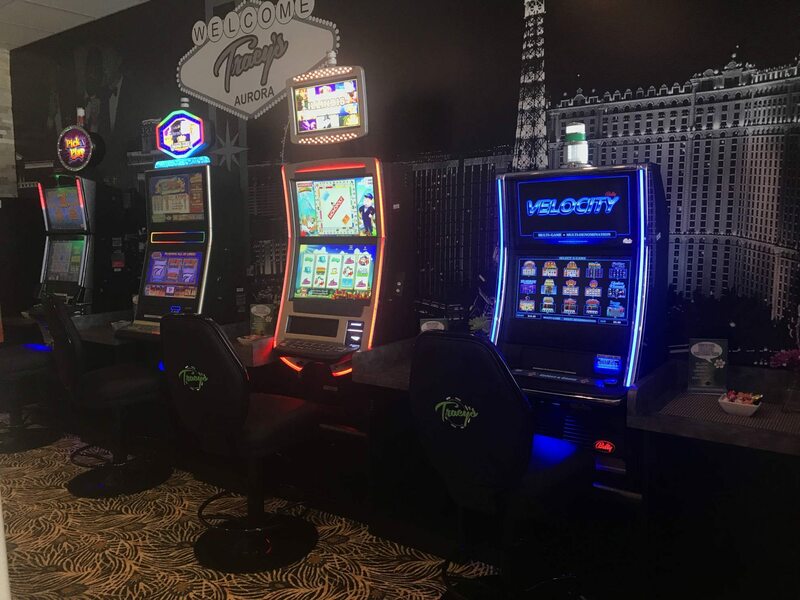 The environment was comfortable it's a nice place to stop for a drink and try your luck on some slots." 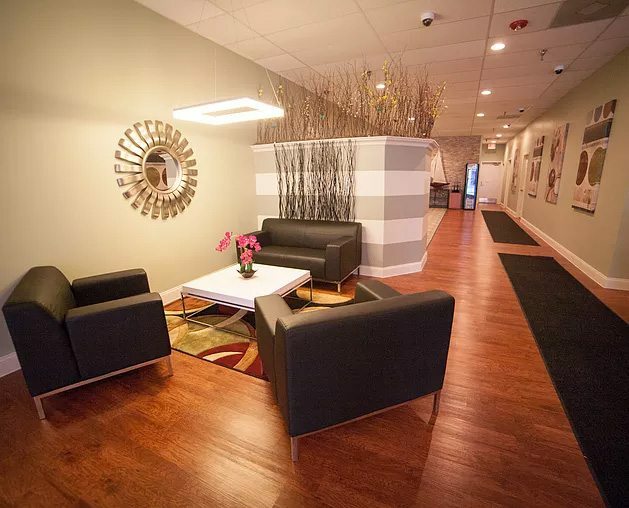 "Very clean..many comp drinks and snacks..Sadly only the Carol Stream location is willing to use the kitchen to offer cooked food beyond snacks Some of the girls who work there go far beyond to accommodate not only the patrons but the business"